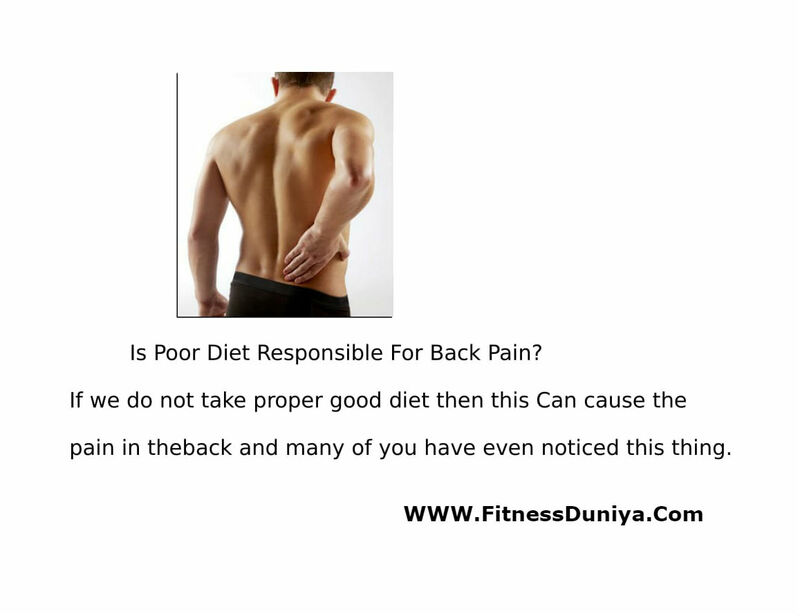 Well there are many reasons for back pain,but here it is being discussed whether the problem of taking Poor diet can lead to pain in back? then the answer is yes.If we do not take proper good diet then this Can cause the pain in the back and many of you have even noticed this thing.Often busy lifestyle,work pressure sometimes our care goes negligently, so many times the worry of work is so much that hunger dies.So be careful about your diet and live a healthy life. A good dose is very important for getting a healthy body and if we do not take good diet then its effect will fall on our entire body,especially the children's food, take care of it nowadays,even in small children this problem is heard. Include dairy products in your daily diet like milk,yogurt,cheese etc. Consume foods contain Vitamin D.Because of lack of Vitamin D bones become weaker and thin. (FoodS with vitamin D eggs yolks,mushrooms,soy milk,oatmeal,spinach) etc. If you are non-vegetarian and like non-veg foods then eat salmon,tuna,oysters,shrimp etc. Start some workout - To get a good physique workout is equally important as a healthy dose. Workout means any physical activity such as yoga, gym you enjoy you like. Always sleep in the right posture. Avoid wear high heels all the time,it also cause complains of back pain. Always use good comfortable shoes that support your back properly.